MENLO PARK, Calif. - May 15, 2018 - PRLog -- Engaging in community means everything. Soody Tronson, one of the key trusted Advisors to the Association for Women in Science STEM to Market National Accelerator in the area of Intellectual Property was reappointed to a second term as a finance and audit commissioner with the city of Menlo Park, home to many innovative companies, including Facebook. She is an active hands-on volunteer with several civic organizations including Defy Ventures, an entrepreneurship, employment, and character development training program for currently and formerly incarcerated men, women, and youth. Soody serves in board, advisory, and leadership capacities with several organizations including Association for Women in Science STEM to Market National Accelerator, Licensing Executives Society USA/Canada Women in Licensing Committee, and the Palo Alto Area Bar Association. 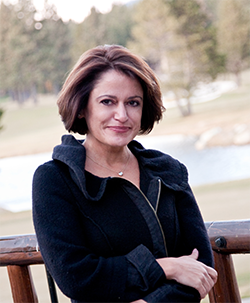 With over 25 years of operational experience in law, technology, and management in start-up and fortune 100 companies, Soody's strategic insight coupled with her practical approach is a key asset when counseling clients. After holding technical and management positions at Schering Plough and HP; and practicing law at Hewlett-Packard Inc., and a successfully acquired medical device start up, and two national law firms, HellerEhrman and Townsend and Townsend; she formed the boutique intellectual property law firm, STLGip, where she counsels domestic and international clients in IP and technology transactions in a wide range of technologies. Soody has instructed courses in IP and licensing at the University of California and Stanford University and is a mentor with several entrepreneurship-focused courses/programs. Soody recently launched a new start up, Presque, a game-changing wearable health-tech platform in the maternity space, Soody is a co-founder of HighNote Coffee Co., a third wave coffee roasting company in Silicon Valley. When asked why she continues with so many organizations, she replied: "People are like diamonds. The more facets they have, the more they can connect with different people, and the more impactful they become." Menlo Park is a city at the eastern edge of San Mateo County, in the San Francisco Bay Area of California, in the United States. It is bordered by San Francisco Bay on the north and east; East Palo Alto, Palo Alto, and Stanford to the south; Atherton, North Fair Oaks, and Redwood City to the west. Menlo Park is split between California's 14th and 18th congressional districts. For more information, visit www.menlopark.org and www.STLGip.com.